While the weather this week might not look like it, spring is…upon us? Right around the corner? As the weather warms up and plants begin to sprout, grow and bloom, many of us are eager to put away our staple stew, chili and potpie recipes in favor of lighter, greener fare. Here are some of our favorite spring recipes to help make the transition. If you’re not quite ready to say goodbye to your favorite winter recipes, here’s a wonderful transition option: hand-pies instead of pot-pies. Lighter, and easily to control portions, these feature more vegetables and less cream than traditional pot pies. This versatile recipe can be adapted to suit your (and your family’s) tastes. Use your favorite vegetables, or just whatever you already have in your fridge! This pizza doesn’t use any tomato sauce, keeping it ultra-light, clean and refreshing for a quick weekday dinner. Let’s skip the debate on whether chickpea-free hummus is really hummus and just agree that whatever this is, it’s delicious. 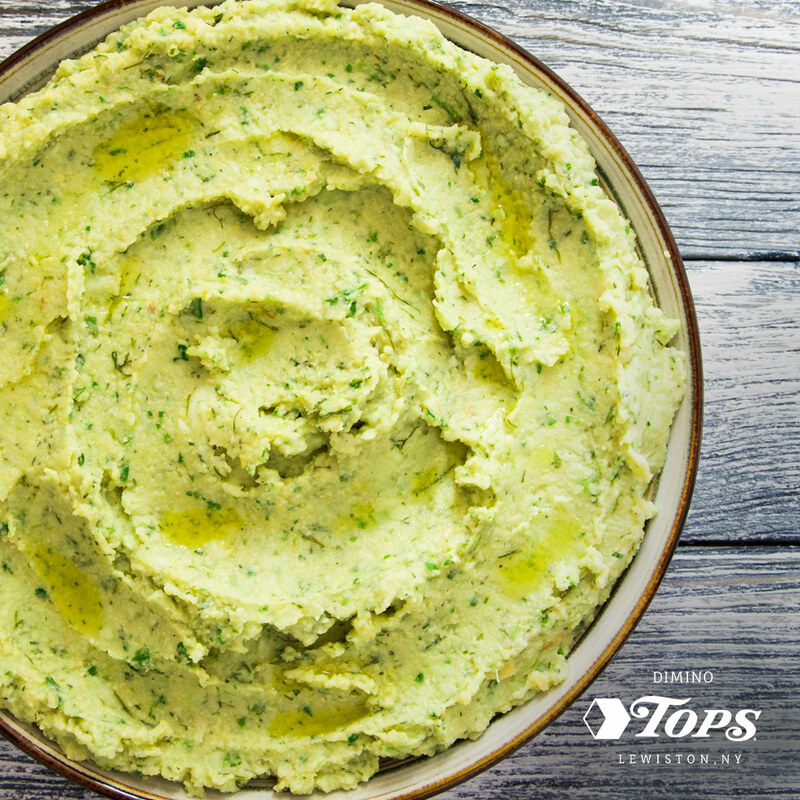 Of course, traditional hummus is also a delicious choice for all seasons, but nothing rings in spring quite like peas! Pair with your favorite fresh vegetables, or whole-grain crackers, pita or bread. This recipe is designed to start taking advantage of grilling season! If it’s not quite there yet, the steaks can easily be pan-roasted instead. It recommends endive or frisee, but peppery arugula or hearty romaine would also work well. This recipe is perfect for bringing in spring. Winter citrus and snow peas combined with fresh arugula and avocado, topped with a spicy, tangy dressing. *This recipe can be easily vegetarian by leaving out the chicken or replacing it with a non-meat protein of your choice. This fresh, delicious salad will likely become a staple in your house after you see how easy it is. If you don’t pre-dress, this is the kind of salad that can be easily meal-prepped for weekday lunches. The dressing is deceptively simple to throw together, and the marriage of flavors is sure to please even non-salad lovers! Another whatever-you-happen-to-have-on-hand vegetable recipe, this creamy pasta is surprisingly light, and the use of shrimp makes it scream of warmer weather. If you’re not used to cooking your own shrimp, you can always buy pre-cooked, but consider giving raw shrimp a try – it’s probably a lot easier to cook than you think! This ginger broth is so light and packed with fresh flavor, the aroma after 6 hours of slow-cooking will be heavenly. The broth itself will keep for several days, but it’s best not to add the noodles, bok choy or tofu until you’re ready to serve. What are your favorite springtime ingredients? Let us know on Facebook!